Claire Dean’s Is-And is a wonderful example of how well the prompt for this collection can work. Nestled within a fantastical tale of a visit to an un-named island, Dean controls the pace of the creeping undercurrent at play. What begins as a supposedly romantic adventure to a place permeated with fairy tales becomes stranger and stranger. The conclusion is stark, foreshadowed by clues but no less chilling for it. Buyer’s Remorse is, according to the author Andrew Lane, based on the Cthulhu Mythos of H.P Lovecraft. Whilst I’ve never read any Lovecraft, the sense of horror and dread that Lane brings to his story makes me want to. 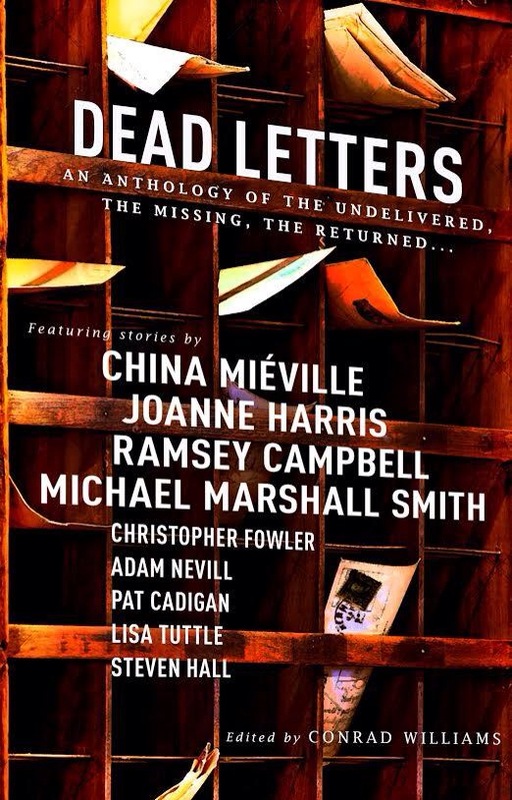 Beginning as a kind of autobiographical exploration of a lost letter and it’s address, Buyer’s Remorse soon finds the author caught up in a weird sale-and-swap scenario in an lost village of the damned. Horrifying creatures, bizarre bargaining and a vicar’s sacrifice are just part of the terrifying texture of this story. Lane’s produced the feel of a classic horror story with some quality touches. Muriel Gray’s contribution is an engrossing story that leaves the horror just out of sight but expertly present. Gone Away, narrated by a British aristocrat who is afforded a life of luxury living on her estate, has such a powerful and believable voice, it’s hard not to get sucked into her narrative. Her grandfather, a clever man with enough connections to maintain their elite economical and social status, holds a party every summer. This gathering is just as exclusive but a stray letter sets off a series of events that reveals a secret which eventually picks at the threads of this charmed life. Brilliantly written and wonderfully characterful. 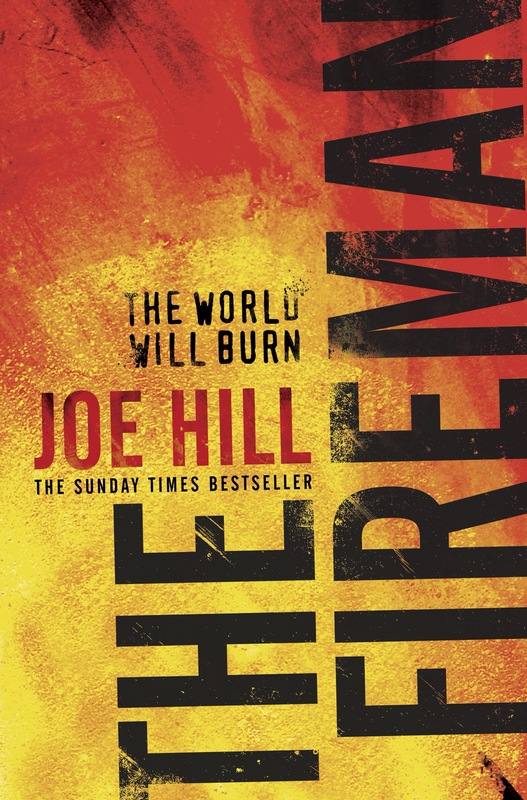 Joe Hill’s The Fireman is a real-world apocalyptic adventure. By ‘real-world’, I mean that it references pop culture and celebrities just as much as it builds up the fantastical disease (dragonscale) that is ravaging humankind and driving it to extinction. Reading about JK Rowling being executed by firing squad whilst the protagonist finds inspiration from Mary Poppins gives the novel an interesting grounding that only adds to the engrossing story. Revolving around a dysfunctional ‘family’ of Harper Willowes, John Rookwood, and siblings Nick and elder sister Allie, The Fireman, hits a number of peaks along it’s way. Detailing the start of the dragonscale disease, Harper, our central character in this ensemble, is a school nurse enlisted to help those infected. Eventually she catches the disease and the true nature of both the dragonscale and her husband are slowly revealed. Affected by the illness that causes it’s victims to combust, Harper’s husband shows his true colours and tries to kill her. In a way he symbolises the fear and hatred of the disease – spontaneously combusting and burning down swathes of civilisation will do that, I suppose. 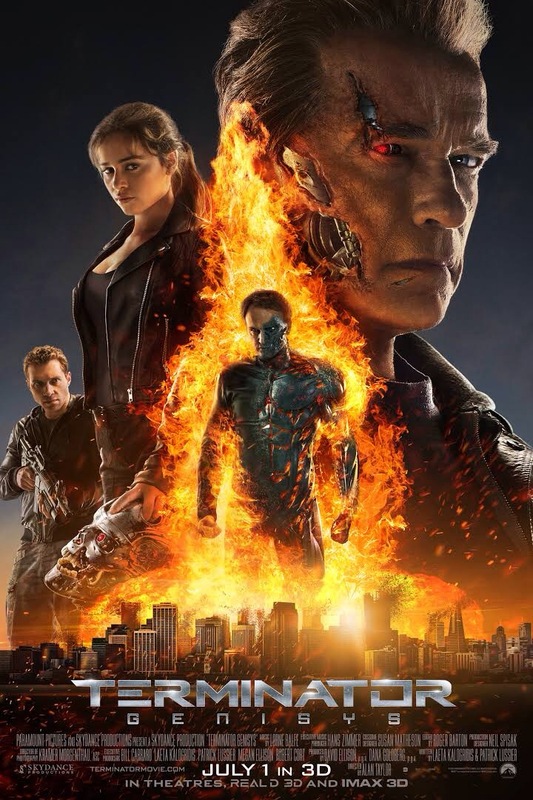 But, Harper doesn’t combust and soon meets others who can control the dragonscale as well. Yet, here, another type of conflict arises within the camp of the affected between those embracing the illness with an almost religious zeal and those with a more practical outlook. Amongst those is John Rookwood, the eponymous Fireman; able to control and manipulate the fire, he helps the affected escape vigilante forces and murderous cremation crews. Adding more friction to the plot, Harper is pregnant and as she comes to term so does the tension in camp. 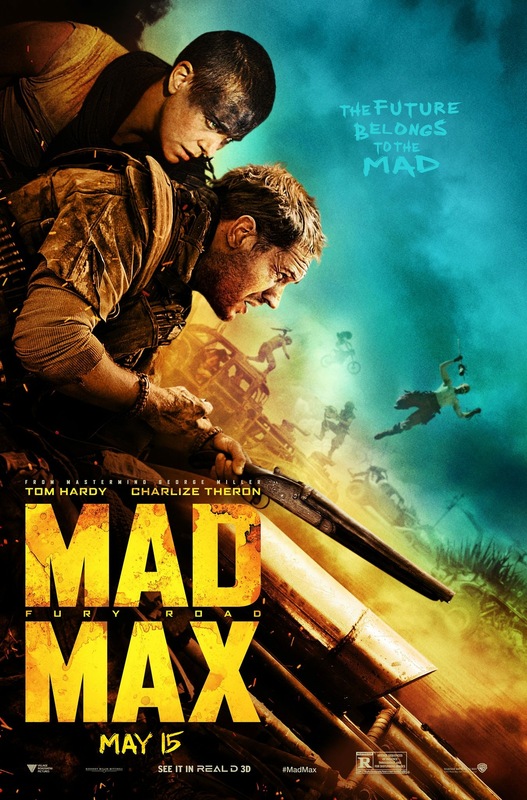 It’s a storm of antagonists as ex-husband, cremation crews and camp zealots all combine in a self-destructive showdown. Whilst the final part of the novel was a taut, gripping read, I was expecting a more brutal conclusion. That’s not to say that the novel wasn’t both fantastic and satisfying because it definitely was. The characters are brilliantly written and highly relatable and the story flows along at a vibrant pace, whilst the dragonscale is cleverly developed. Featuring a number of conflicts, each of which could have made a story in itself, The Fireman is an exemplary apocalyptic thriller. 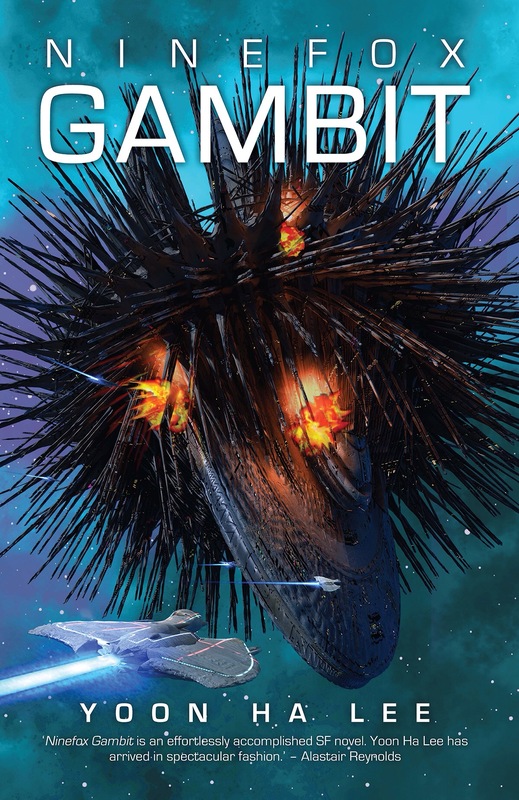 Author Yoon Ha Lee was kind enough to answer some quick questions about her book Ninefox Gambit, some of the ideas behind her story and what we can expect next. Could you give a brief introduction to who you are and to your novel Ninefox Gambit? I’m a Korean-American writer living in Louisiana with my family and a very lazy cat. I got my B.A. in mathematics from Cornell University, although I’m not always sure my math professors would approve of what I’m doing with my degree! Ninefox Gambit is about a disgraced captain, Kel Cheris, who teams up with an undead general, Shuos Jedao, to retake a fallen star fortress. The good news: Jedao is a brilliant tactician and he may be the only one who can help her. The bad news: he’s also a mass murderer, and Cheris has to keep him from going rogue–if he doesn’t kill her first. I found the symbols used in the book to be unique – could you explain a little on the inspiration for the ideas of moths (as space ships) and the signifiers of fox, raven and others? The idea of a ‘calendrical’ technology was equally intriguing – can you expand on the ideas of math in the story? The origins of the idea came from a couple places. First, I read a book by Marcia Ascher on ethnomathematics called Mathematics Elsewhere. It talked about different cultures’ calendar systems. For example, the Trobriand Islanders rely on the biological clock of marine annelids to set their calendar. I thought a lot about how the simplest act of scheduling relies on a mutually understood timekeeping system and cultural norms about being on time (or not). Calendrical warfare came partly from the notion that dates come to hold particular significance in a given culture. I didn’t read Peter Watson’s War on the Mind: The Military Uses and Abuses of Psychology until after I’d written Ninefox Gambit, but it shows that the idea of exploiting other cultures’ special celebration dates in warfare for extra psychological effect is not a new idea. Finally, I got the idea that different calendars induce different magical systems from vector calculus in college. It’s been a long time, but I was fascinated by gradients and vector fields, so I had this idea that at each point in space-time, you would have an associated set of laws of magic based on what calendar was dominant at that point. The social landscape within the hexarchate is an interesting mix – what inspired the blend of ‘houses’ and hierarchical autocracy? The hexarchate was always going to be a horrible police state because I wanted my characters to have something to rebel against. The houses, or factions, were inspired primarily by Alderac Entertainment Group’s Legend of the Five Rings (L5R), a roleplaying game and collectible card game (soon to be relaunched as a Living Card Game by Fantasy Flight Games) that I played for years. L5R takes place in a fantasy samurai setting with zombies and dragons, and it has clans with different specialties, from the Crane, who dominate the courts with their artisans and duelists, to the Lion, who are honorable warriors with a strong connection to their ancestors. I loved the way that the clans gave people an immediate way to connect to the setting. Admittedly, I’m not sure anyone is going to identify with the hexarchate’s factions, because they’re pretty evil! There’s a lot of political intrigue within Ninefox Gambit but also suggestions of a much larger universe – will we see more outside of the hexarchate? Not much, unfortunately. We only really see glimpses of the world outside the hexarchate, mainly because there was so much plot already I ran out of space to do more than hint at anything else. The ‘servitors’ also seem to be more than they appear – if it’s not a spoiler – will their importance become clearer in the next books? Yes! They have important roles in the next two books, even if most of the characters don’t realize what’s going on. Lastly, when is the next book available and where else can we find your work? According to Rebellion’s website, the next book, Raven Stratagem, is due out in June 2017. 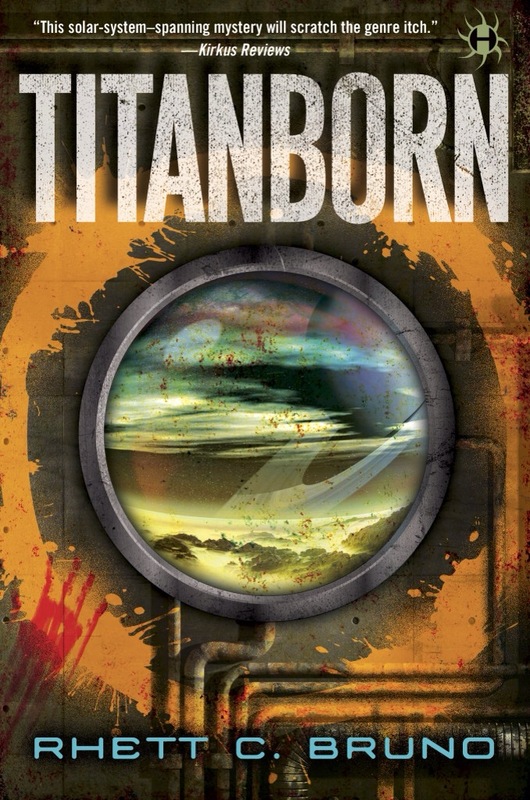 Told from the perspective of Malcolm Graves, a jaded bounty hunter and faithful employee of one of the largest corporations in the solar system, Titanborn is a gritty, sci-fi thriller that packs a little extra punch at the end. Graves is a ‘collector’; a troubleshooter who solves company issues with a gun. He’s a company man through and through, never asking questions about his work and only caring about his pay. But he’s getting old and after making a rare mistake he’s forced to take a holiday on Earth. Visiting New London just in time to witness a terrorist attack and as one of the most experienced men on the ground, Graves finds himself tracking the killer. In a post-cataclysm society, humankind are reaching out as far into the solar system as they can. However, this also includes migrating to Titan, one of Saturn’s moons that was colonised long ago. Titan’s original settlers are centuries removed from Earth’s humans and don’t take kindly to the re-appropriation of their home nor the diseases they bring with them and a revolution is brewing. The killer that Graves seeks is one such off-worlder. Like all great, hard-boiled mercenaries, Graves ‘works alone’. Yet, he is saddled with a young, proficient partner and the two are soon tracking their quarry across Europe. It’s here the story really gets it’s legs. Backstory for Graves is filled in with flashbacks and the futuristic world at large is explored and explained. On Titan, the stakes are even higher, resulting in an explosive conclusion. Rhett C. Bruno has produced a great blend of ideas, mixing some interesting sci-fi concepts with a few classic tough-guy detective tropes. It’s a successful recipe and Titanborn is a fun read because of it.